A luminaria is usually a kraft paper bag weighted down by sand and containing a lit candle. Rows of warmly glowing luminarias line streets, walkways, walls, and even rooftops on Christmas Eve. This Hispanic tradition began as a way to guide the spirit of the Christ child. 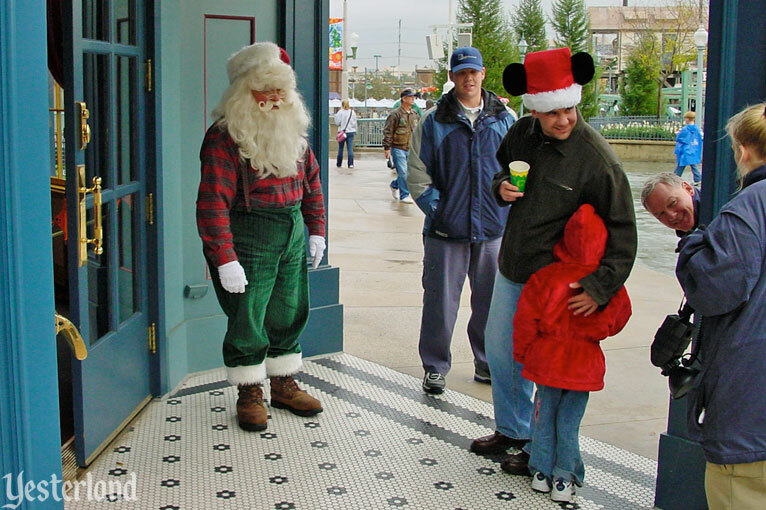 It’s the Holiday Season here at Yester California Adventure. 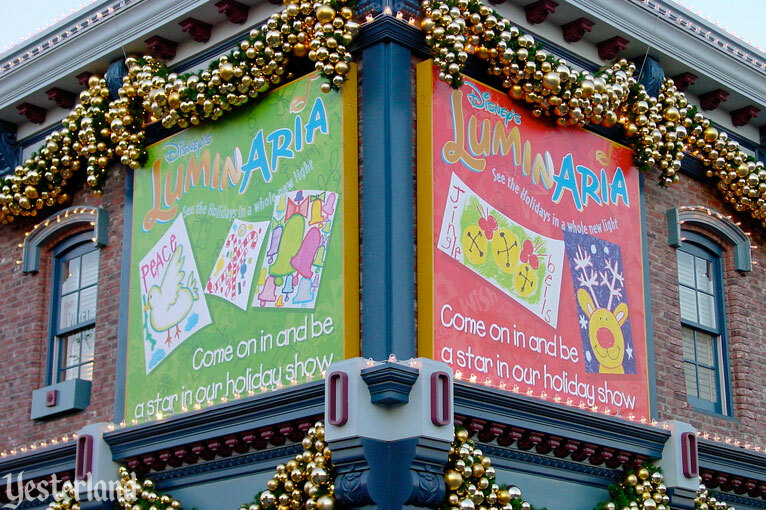 We don’t have luminarias, we have Disney’s LuminAria—a Holiday Spectacular with an upper-case L and an upper-case A. Gold is the theme for the holiday decor in the Golden State section. LuminAria is a nighttime show, but the fun begins in the daytime. Go to the festively decorated Bay Area district of the park’s Golden State section. Look for the giant LuminAria banners opposite the Golden Dreams rotunda. Well, you won’t personally be a star, but your artwork can be. Bring your kids, but that’s not a requirement. 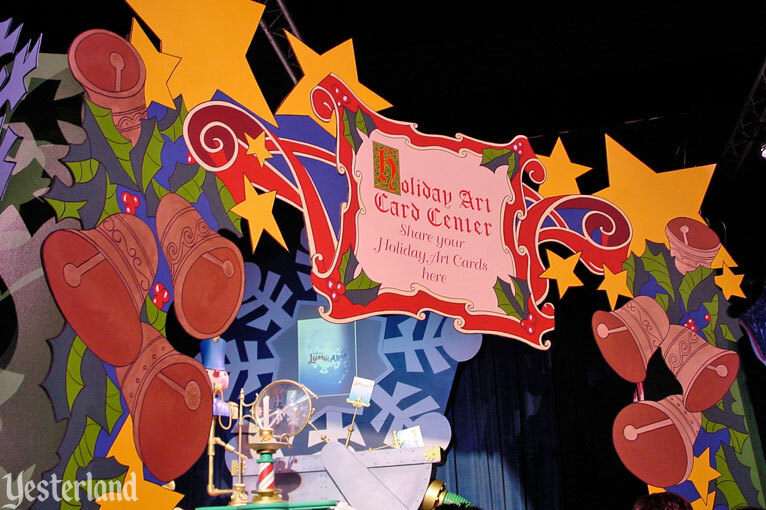 You’re in the Holiday Art Card Center. 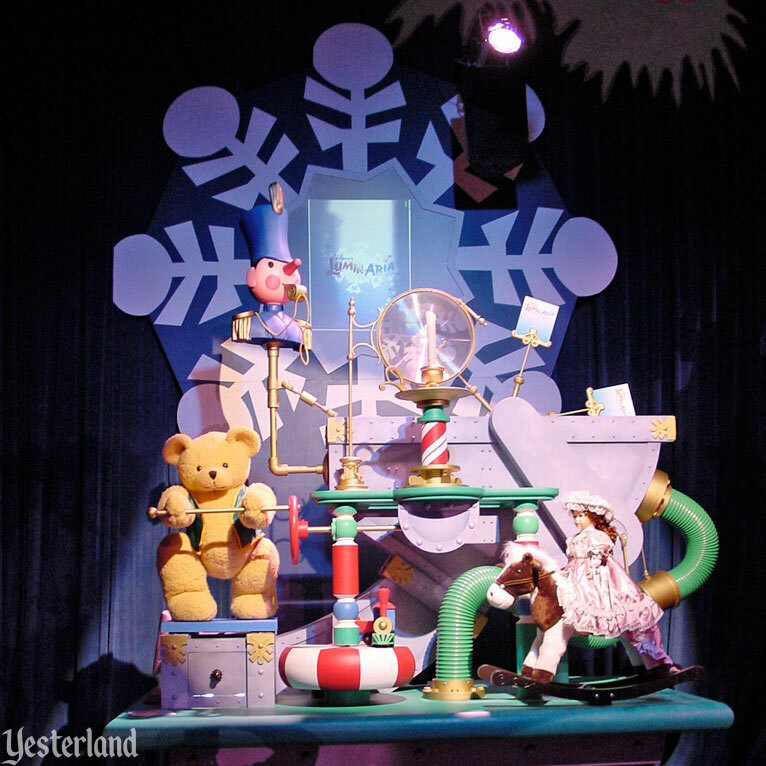 Displays of toys serve as holiday displays and inspiration. The tables and chairs are a perfect size for young kids. What do the holidays mean to you? What images come to your mind? What are your religious or secular holiday traditions? Be creative. 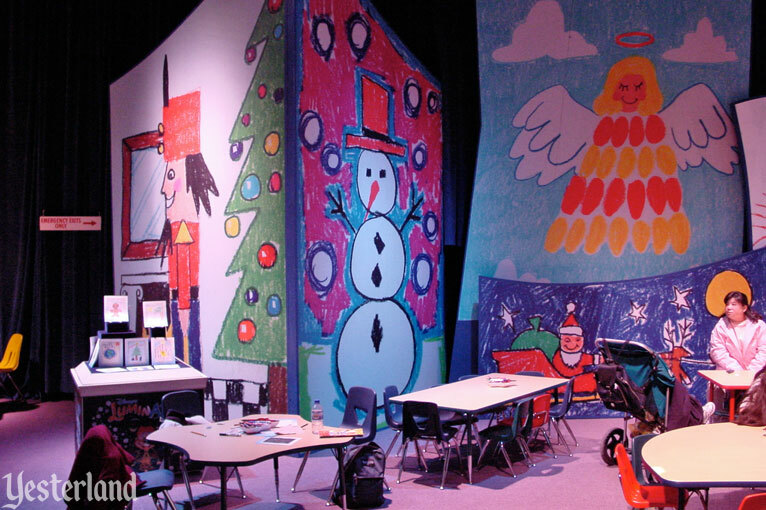 Perhaps you or your kids will be inspired by the giant Christmas cards in the room. A giant perforated luminaria bag is part of the room’s decor. Be sure to finish your artwork at least two hours before showtime. Giant “gift packages” are actually show elements. 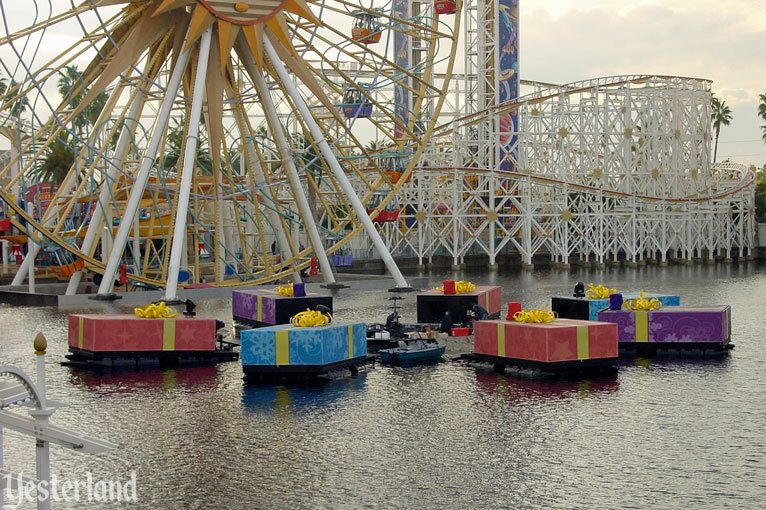 As nighttime approaches, show elements are moved to their positions in Paradise Bay. The neatly positioned packages wait for nightfall. Before it’s too late, take in all the rides in this part of the park, including the Sun Wheel, Maliboomer, and Orange Stinger. They’re closing early tonight. Now it’s night. The time has arrived. The lights dim around Paradise Bay. Low-level fireworks leap from the lagoon. Park guest artwork makes LuminAria an interactive show. Do you remember those large gift packages? Large screens rise from those packages. 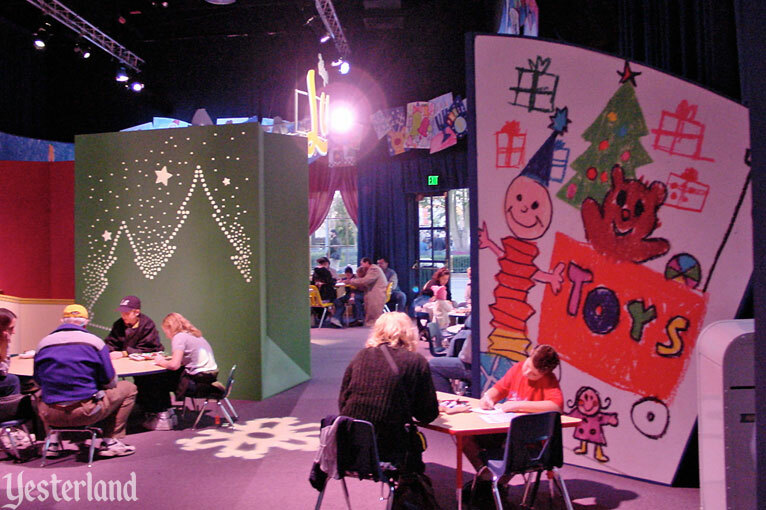 The artwork that you, your children, and other guests produced during the day are part of the show. Keep your eyes open for your artwork. A 60-foot “tree” appears to rise from within the lagoon. 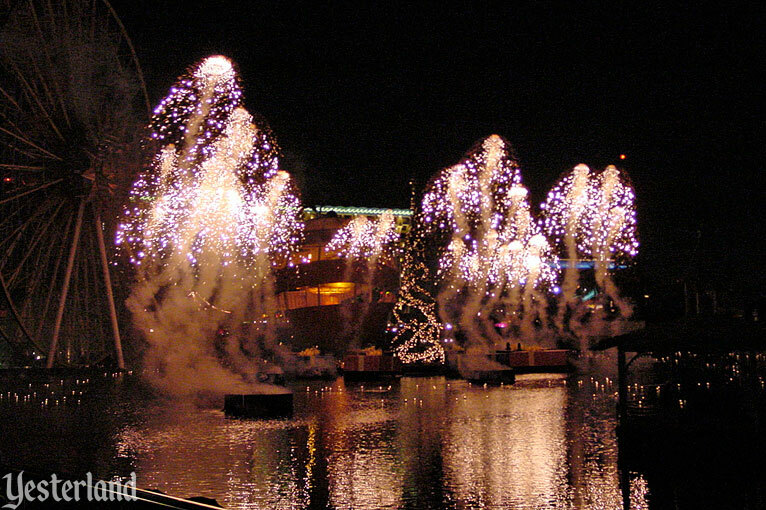 A variety of low-level fireworks, choreographed to a soundtrack of familiar and not-so-familiar holiday music, dance above the lagoon. Bask in the glow of the fireworks. Just when you think it’s all over, “Disney’s LuminAria Finale” begins. As the show reaches its end, the narrator intones, “Share your light. Share it with the world.” And one more blast of fireworks erupts above the waters of Paradise Bay. You paid attention to which way the wind was blowing, didn’t you? You picked a good spot upwind from the low-level fireworks, right? Otherwise, you were watching the show from within a cloud of thick, acrid smoke. 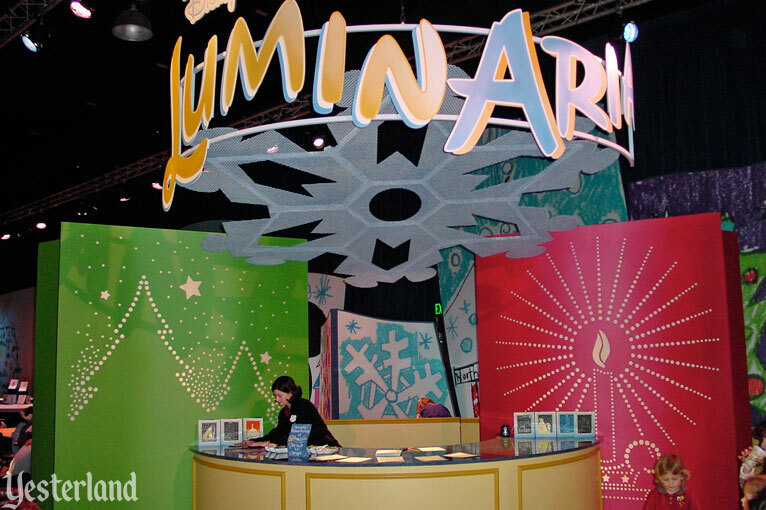 Disney’s LuminAria premiered at Disney’s California Adventure on November 9, 2001. 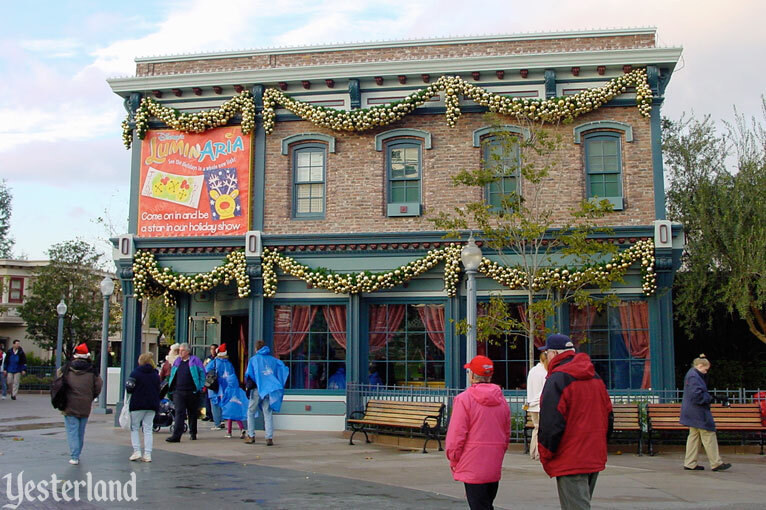 It was the new park’s first Christmas. Reaction to the show online tended to be lukewarm—not as negative as for Light Magic, but not as positive as for Fantasmic! or Disneyland’s various fireworks spectaculars over the years. The virtues of the colorful pyrotechnics were outweighed by the smoke. The holiday music lacked the energy to match the fountains of fire. The video screens that showed the “cards” were too small and provided a lackluster show. 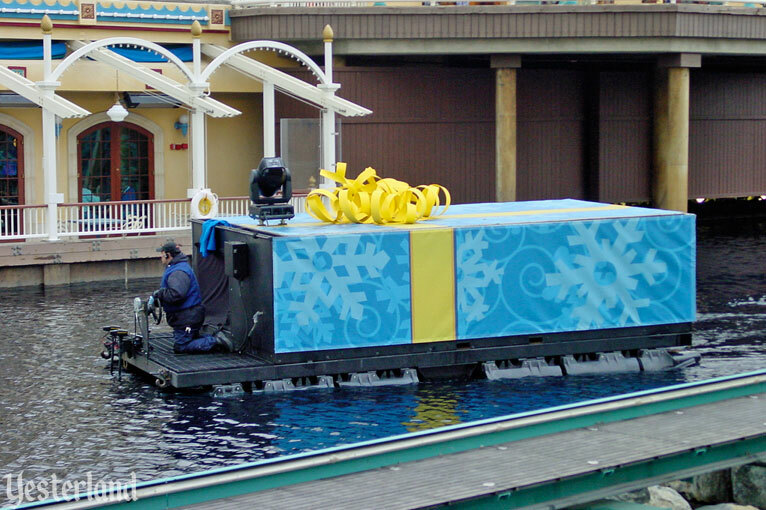 Walt Disney Creative Entertainment had to deal with a lack of permanent show infrastructure in the lagoon, a short development cycle, and a budget only appropriate for an eight-week holiday show. 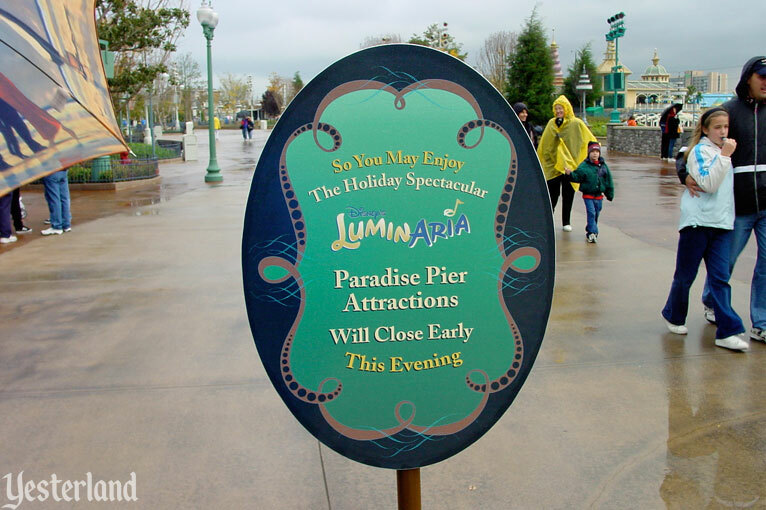 The guest reaction to LuminAria also wasn’t helped by closing the Paradise Pier rides early—at a park that already had a reputation for too few attractions. 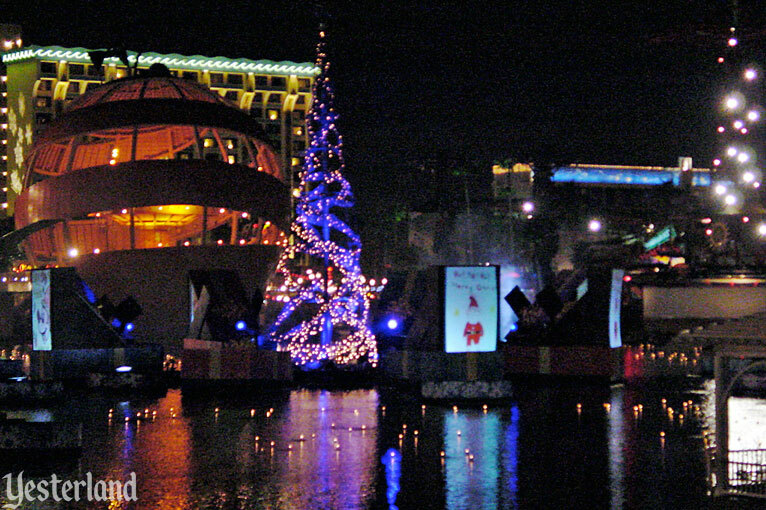 LuminAria ran nightly until January 6, 2002, as scheduled. Then it never returned. 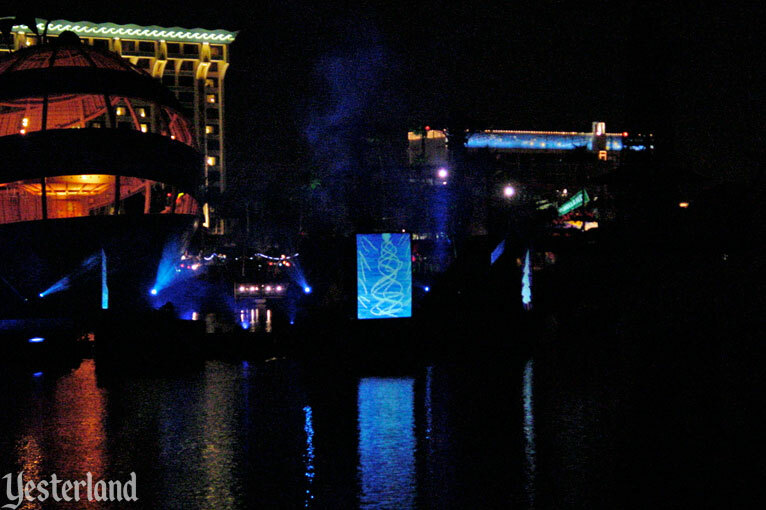 The idea of having a nighttime spectacular on Paradise Bay was a good one, but LuminAria was not the right show. 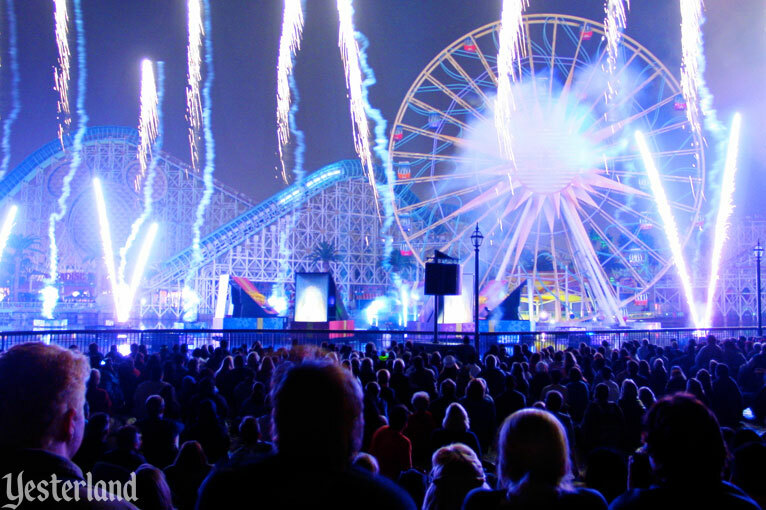 More than eight years after the final performance of LuminAria, and after a huge construction project lasting through most of 2009 and halfway into 2010, Disney California Adventure now has the most spectacular water show in the world—World of Color. 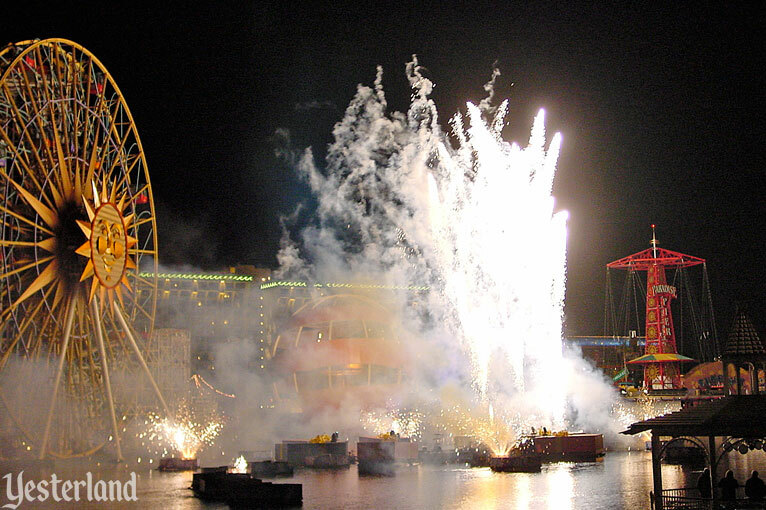 World of Color premiered June 11, 2010. Guests viewing World of Color are treated to music, 1,200 fountain nozzles (each with an individually controlled underwater LED), state-of-the-art digital projection on water-spray backdrop screens, lasers, and fire—but not the continuous low-level pyrotechnics that made the acrid smoke of LuminAria. If the wind is blowing, guests get a bit wet. But they don’t get coughs and burning eyes from smoke. 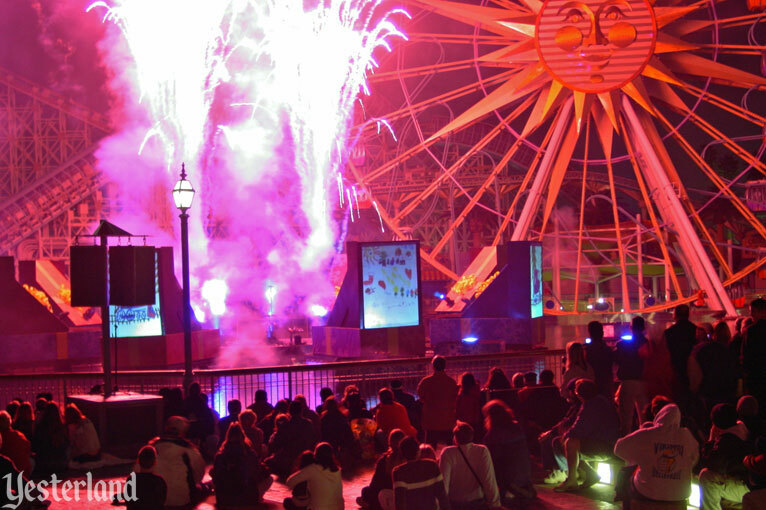 Unlike LuminAria, World of Color is a year-round show—but it can also be a holiday show. 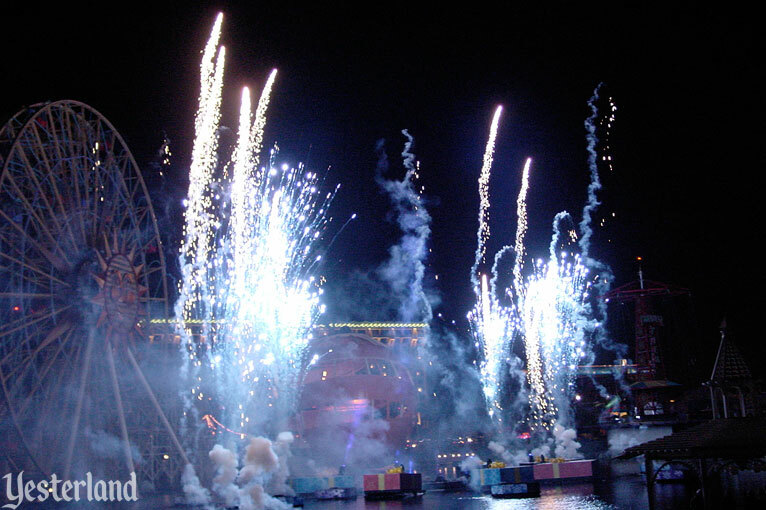 For the first two holiday seasons of World of Color, 2010 and 2011, there was just the regular show. 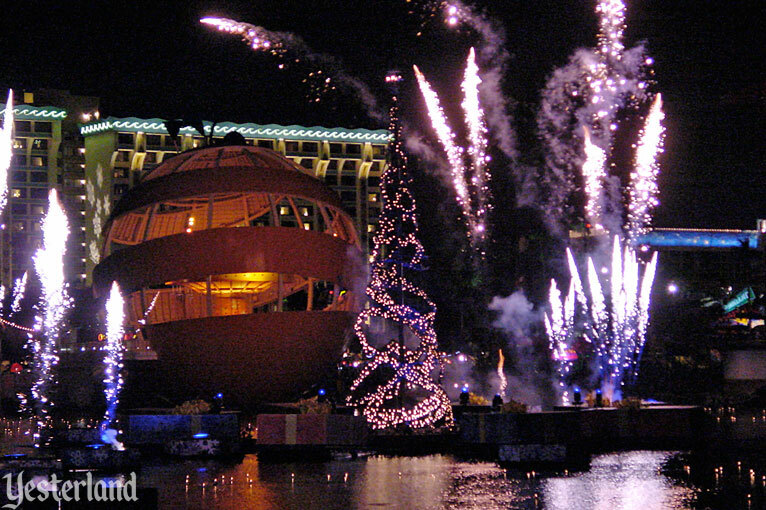 For the 2012 holiday season, World of Color added a segment based on Disney’s Prep & Landing television special. Finally, in 2013, a holiday spectacular temporarily replaced the regular show. 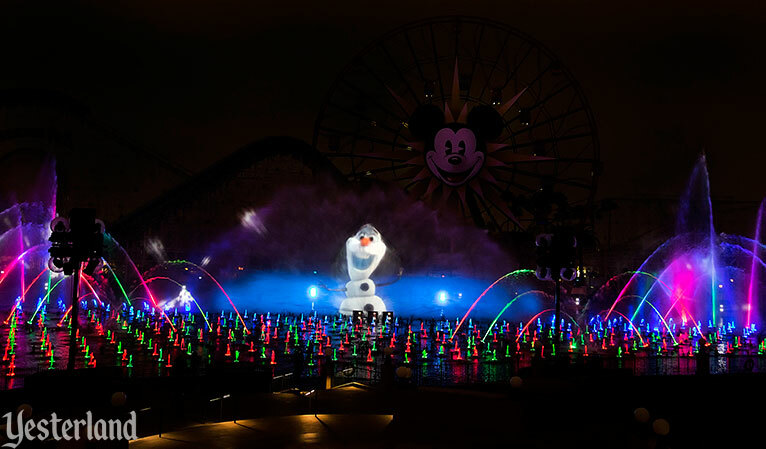 World of Color - Winter Dreams premiered November 15, 2013. And borrowing a page from the LuminAria playbook, one segment featured reproductions of greeting cards created by guests. 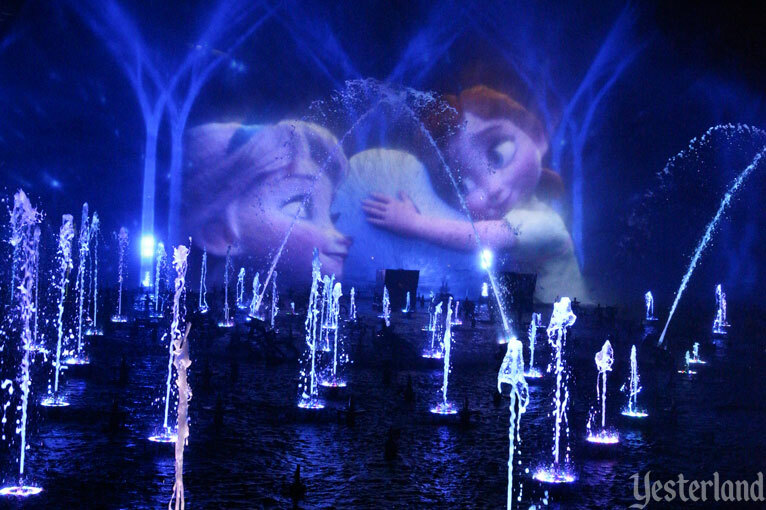 Versions of World of Color - Winter Dreams also ran in 2014 and 2015. 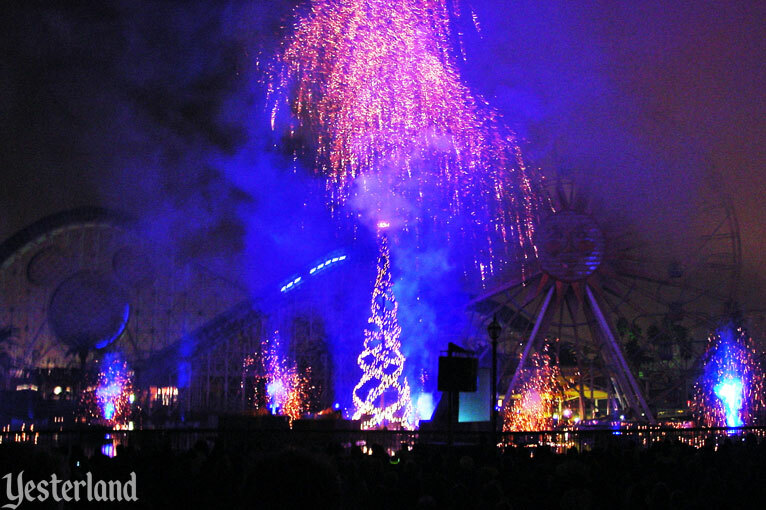 For 2016 and 2017, a new holiday version, World of Color - Season of Light, featured well-known holiday tunes recorded by popular artists, such as “Let it Snow” by Dean Martin and “Baby, It’s Cold Outside” by Michael Bublé and Idina Menzel, and “Feliz Navidad” by José Feliciano. LuminAria is just a distant memory now—from the long-ago time before Frozen.